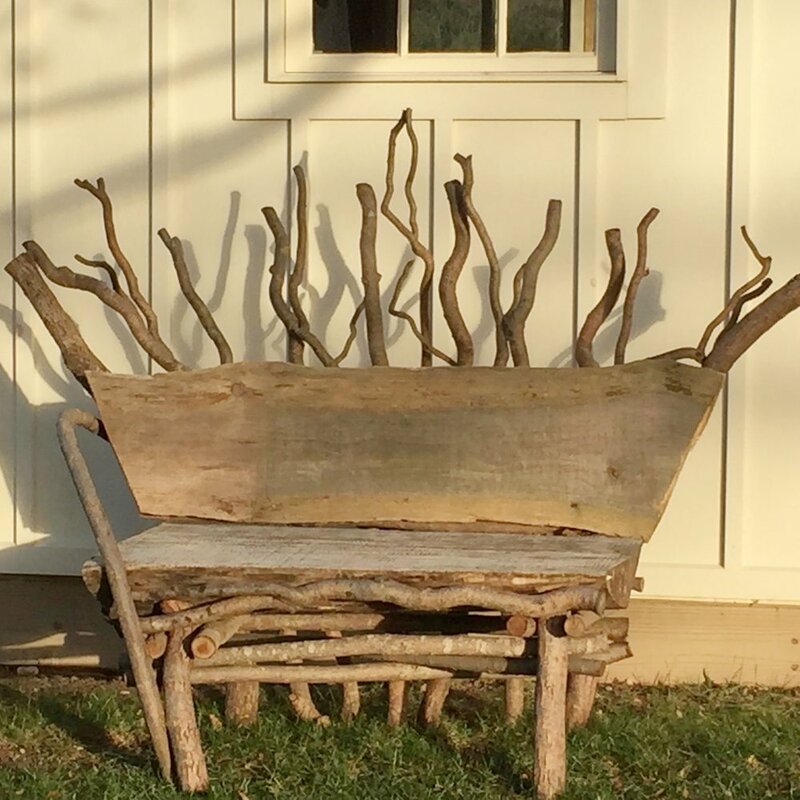 Rustic furniture from DemiTree Oakheart Furnishings sweeps me into the past to other times filled with pioneers, mountain men, and voyagers. It's organic, playful, and deeply rooted in the land. Made in Michigan means these benches, tables, chairs, fairy houses, arbors, waddle fencing, etc. are structures made from regional trees; sassafras, black walnut, willow, birch, cedar, oak, elm, and maple. Demitree Oakheart and his partner Olivia Roedding are gypsy furniture makers who live and work at the Willow Ranch in Grand Junction MI. Together they continue a long American tradition of bentwood, stick, and log construction dating back to the 1850's. 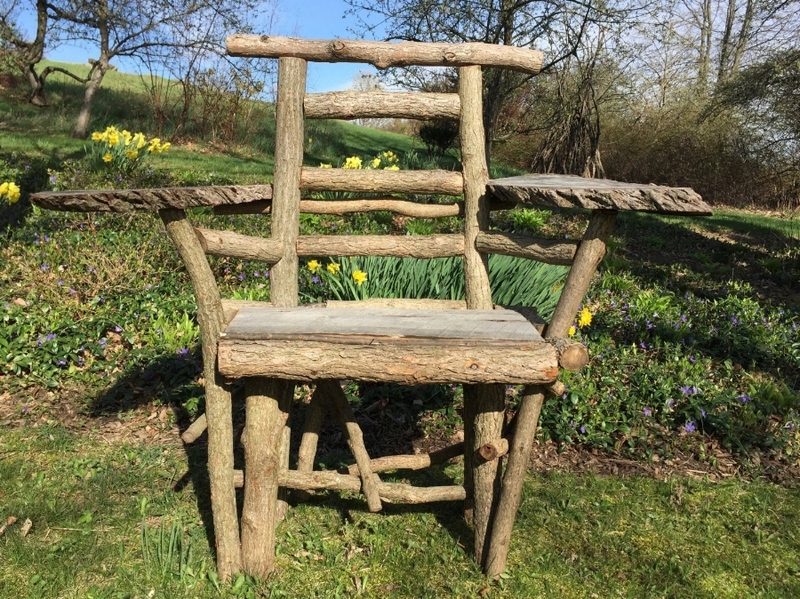 The wonder of rustic woodworking is that no two branches are the same, making possible near-endless variations, and a sense of connection to a much more organic method of woodworking.